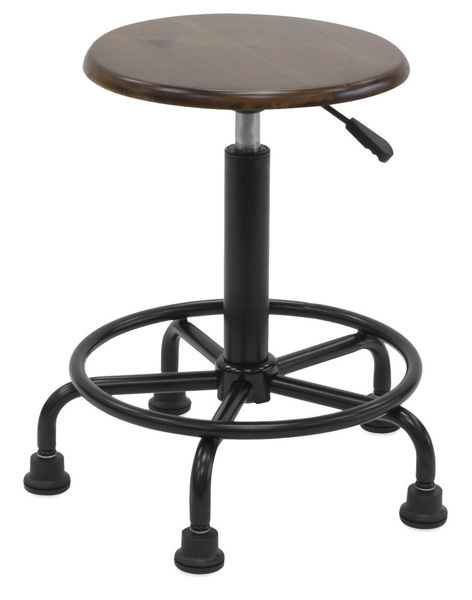 The Studio Designs Retro Stool has a charming vintage look plus the modern convenience of pneumatic height adjustment. With just a simple touch, you can raise and lower the seat from 19¼" to 26" high. Built to last, the Retro Stool has an extra-wide, extra-stable 19" diameter steel base with a chip-resistant Black powder-coated finish and non-slip feet. The footring provides comfort while also increasing durability. The wooden seat has a beautiful Rustic Oak stain. This stool coordinates perfectly with the Studio Designs Vintage Drafting Table.